• These reflective stickers are a great safety device. Your Hard hat will Stand out at night. • Help prevent accidents and, even, make it easier to spot the worker in case of an emergency or injury. 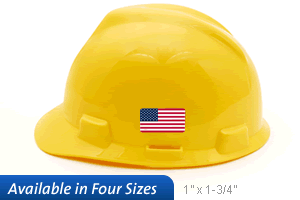 • Flag stickers are ideal for Hard hats.